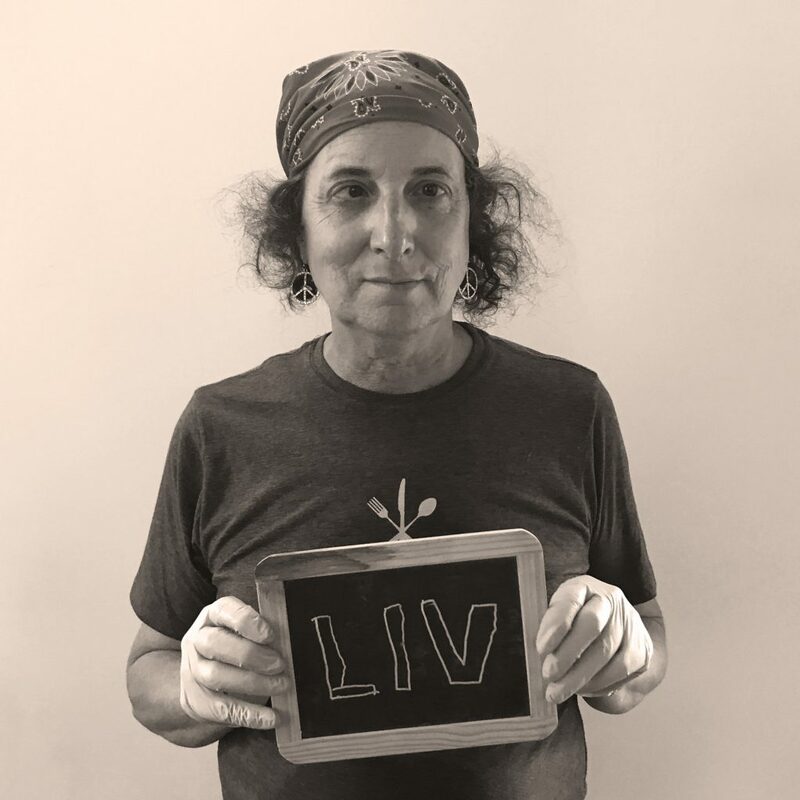 Mikala, aka Mikay, has been with us for over two years and is our Front of House Manager. Her warmth and good cheer are infectious and to know Mikala is to feel loved by her. She makes everyone who walks in the door feel welcome. She nurtures her work family with encouragement, support and laughter. Her thirst for knowledge is unquenchable. Her favorite Feed meal is the Pastrami Hash with an English muffin, avocado salsa and allll the caramelized onions available. If she was a toast special, she’d be thin sliced sourdough with jalapeno jam, chopped bacon and cream cheese because she’s cheesy, spicy and a super snack! When she’s not at Feed she’s snuggling or hiking with her furry babe Moose, and cooking through her Bouchon cookbook. 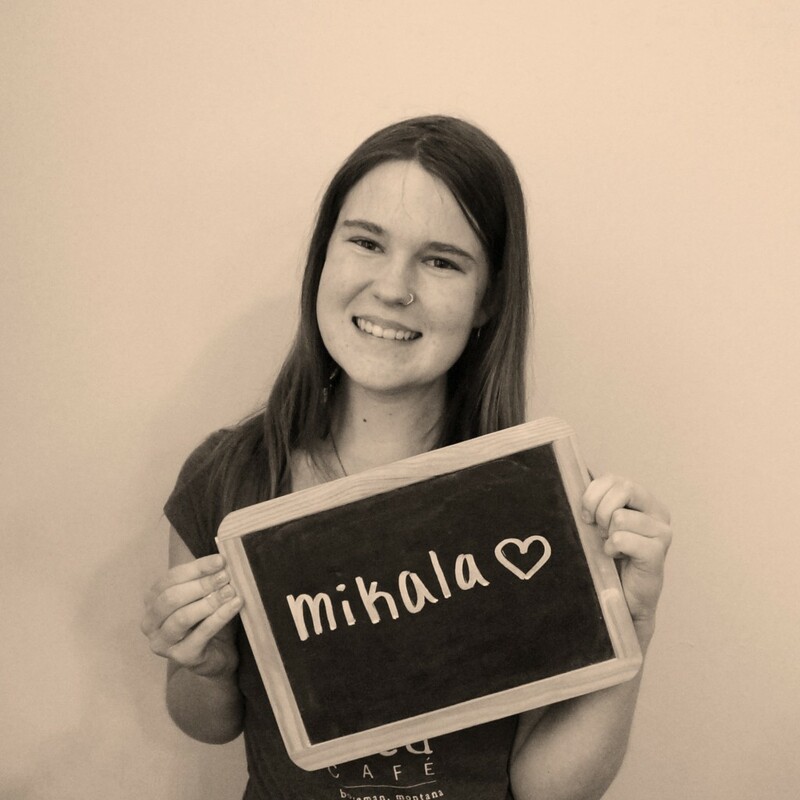 Mikala’s passion for feeding and caring for people is evident in everything she does. Thank you for being our sunshine Mikala! Joe Fedora aka Fedorable radiates good energy and is an excellent team player. He is extremely dependable, kind, hard working, and, well, Fedorable! His favorite Feed meal is our house granola with coconut milk and extra berries. If he was a toast special, he’d be roasted garlic hummus, hickory smoked salsa, avocado and microgreens because they’re bold and delicious and he loves anything with avocado. When he’s not working the line at Feed, Fedora can be found playing outside, learning to play the piano or creating essential oil blends. In his own words: “Life can be tough sometimes. I find that I am truly happy if I am always creating, exploring, learning, inspiring, spreading unconditional love, teaching and sleeping. ” We love you Fedora! Thank you for all that you do! Tony has a strong work ethic and culinary fortitude. He comes in ready to work and is willing to do anything thrown at him. His excellent attention to detail shines through in every aspect of his work. 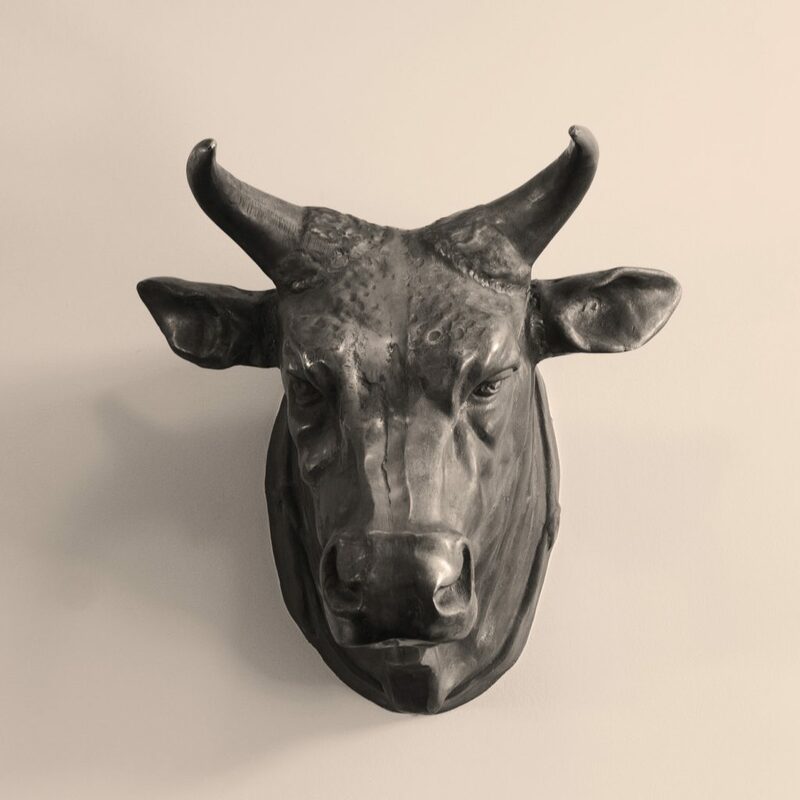 Tony is well educated and widely experienced, and his thirst for knowledge is invigorating. His creativity shows up in many of the new and delicious soups we serve. Tony’s favorite Feed meal is the Savory Oats and if he were a toast special he’d be sriracha, bacon, scallion and sharp cheddar on sourdough. When he’s not at work he specializes in napping. 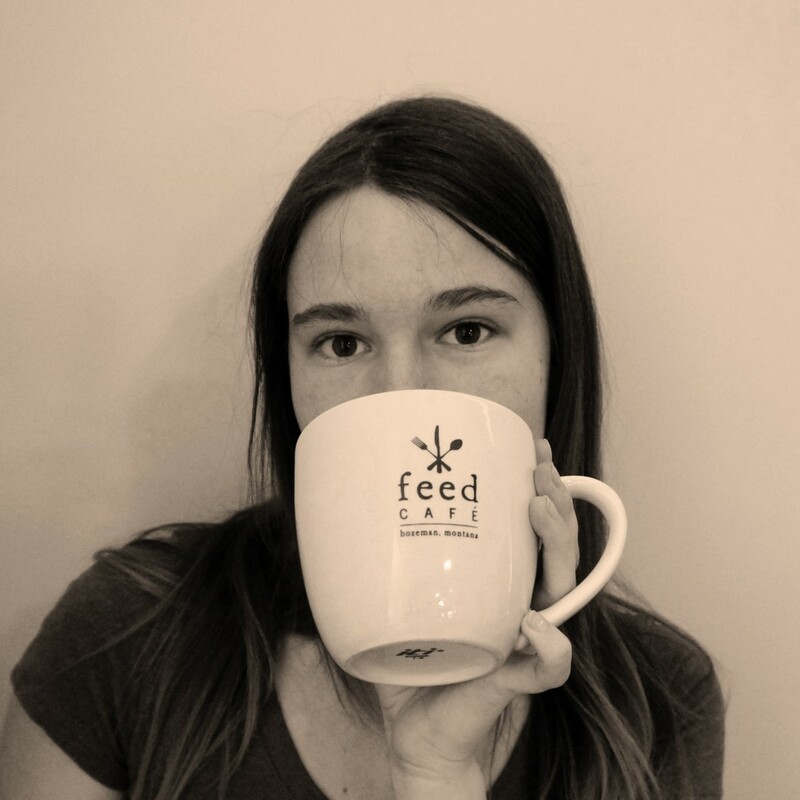 Emily started work at Feed a year ago as a dishwasher with no restaurant experience. Her strong work ethic, curiousity and willingness to jump in wherever needed did not go unnoticed and she is now our lead baker. 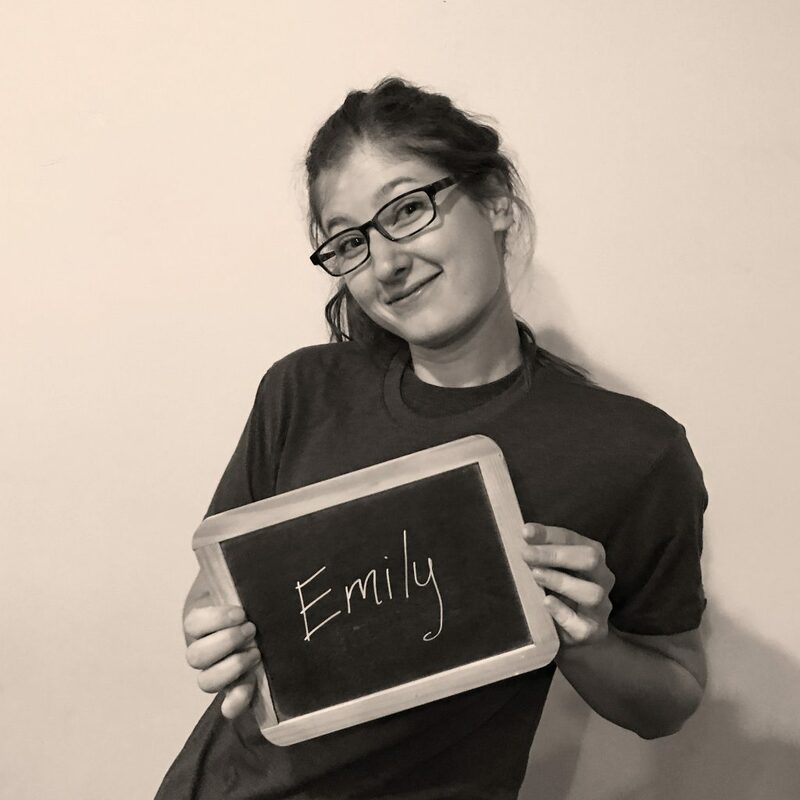 Emily goes above and beyond the call of duty in every way, and is always positive, ready to learn and willing to help out her team. 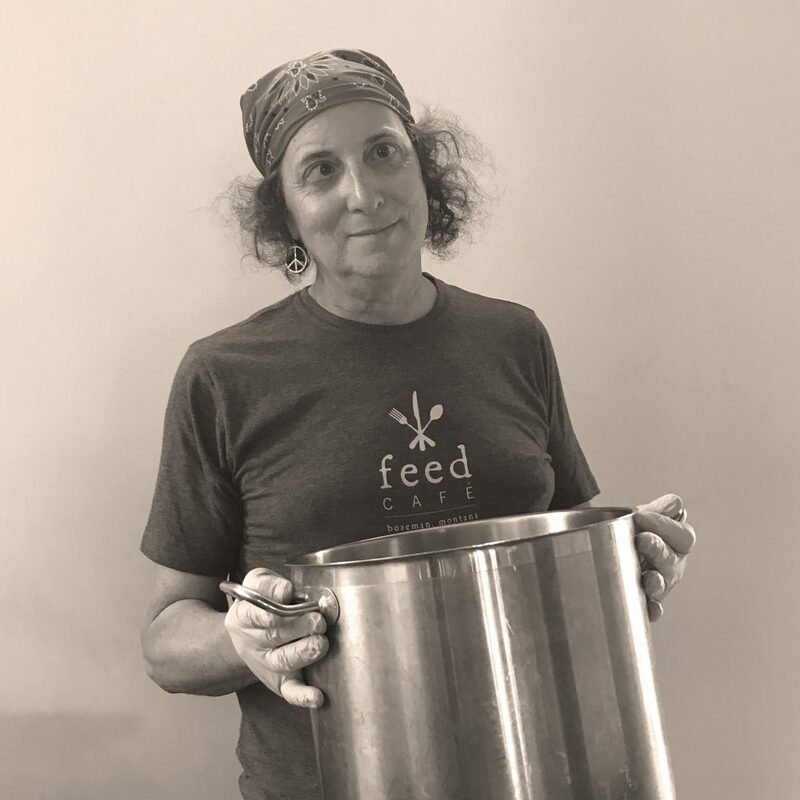 She exemplifies the sweetheart policy we strive for at Feed.Her favorite Feed meal is the Green Stuff sandwich and if she was a toast special, she’d be apple jelly, butternut squash and spiced apples on wheat toast because she loves the flavors of autumn. When she’s not at work, she paints, reads, hikes, bikes and hangs with her roomies and their goofy cat. We are so grateful to have Emily on our team and we look forward to seeing what she accomplishes next. Thank you Emily! Chiara puts passion and love into everything she does. Originally from Italy, she is unfailingly vivacious and positive. 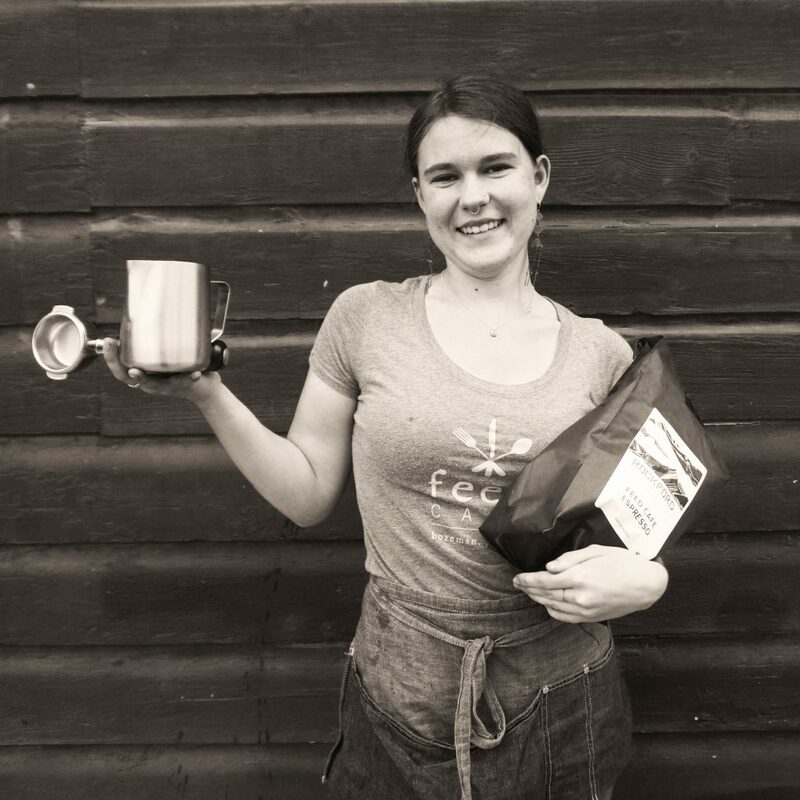 Her incredible work ethic and passion for food are obvious to everybody in the restaurant and and she is the queen of maintaining a meticulously clean work environment. 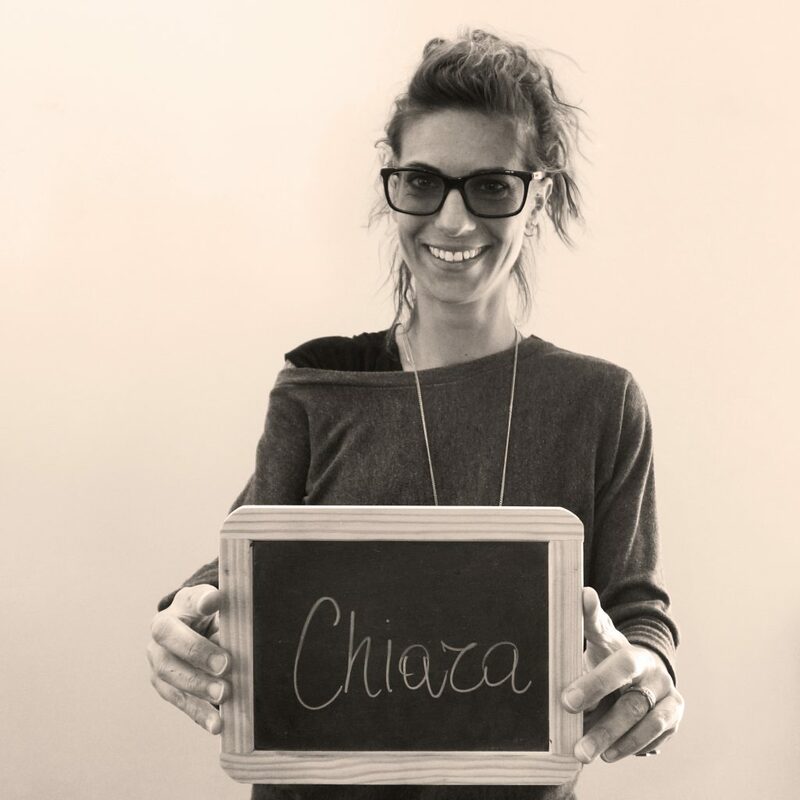 Chiara’s favorite Feed meals are the Panzanella Salad and the Harissa Chicken Salad. If she was a toast special, she’d be grilled zucchini, basil pesto, olive oil and shrimp on sourdough bread. She loves mediterranean flavors and fresh ingredients, and when she’s not at work she’s busy learning to cook new foods, learning to speak new languages and spending time with her family. Chiara works hard, happily, and tirelessly; she is an incredibly valued and loved Feed family member.Thank you Chiara for all that you do! Emily “The Bread Wonder” is a priceless asset to the Feed family. Her favorite Feed meal is the Green Stuff sandwich and if she was a toast special, she’d be apple jelly, butternut squash and spiced apples on wheat toast because she loves the flavors of autumn. Originally from Stillwater, Minnesota, Emily started here with no experience but tons of drive, a strong work ethic and a passion for learning and she quickly exceled in our bread department. 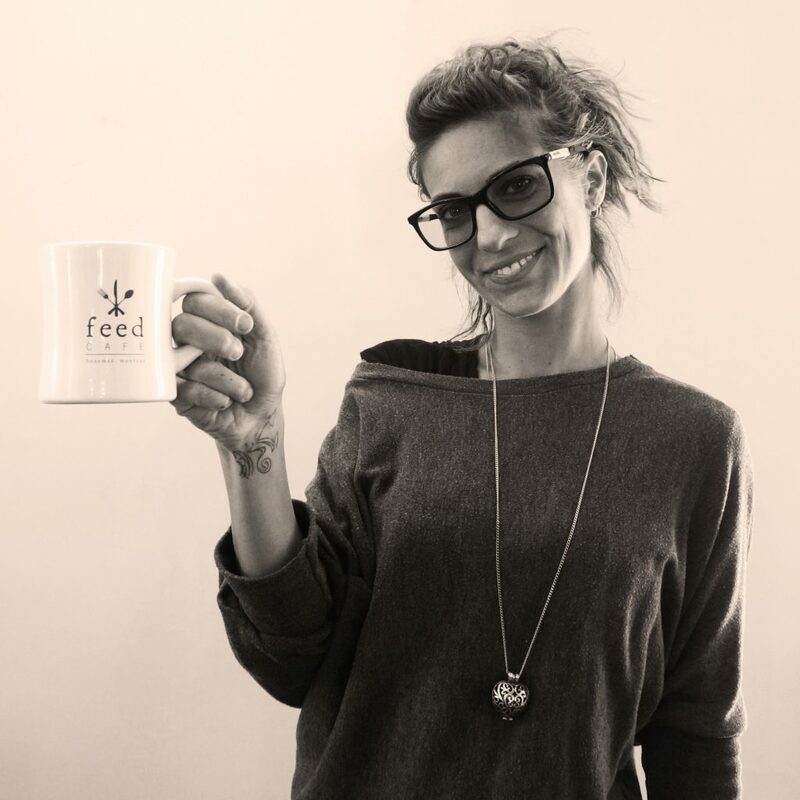 Emily is a model team member – a shining example of the “Sweet Heart” culture we embrace at Feed. When she’s not at work, she paints, reads, hikes, bikes and hangs with her roomies and their goofy cat. Thank you Emily for your phenomenal work ethic, eagerness to learn, and the light-hearted, go get-em attitude you bring with you every day. We look forward to our future with you! Employee of the Month: Sean S.
Sean “The Pancake Whisperer” Stocker is a mountain of a man with a range of abilities. He accomplishes all tasks thrown at him, with an excellent eye for detail. 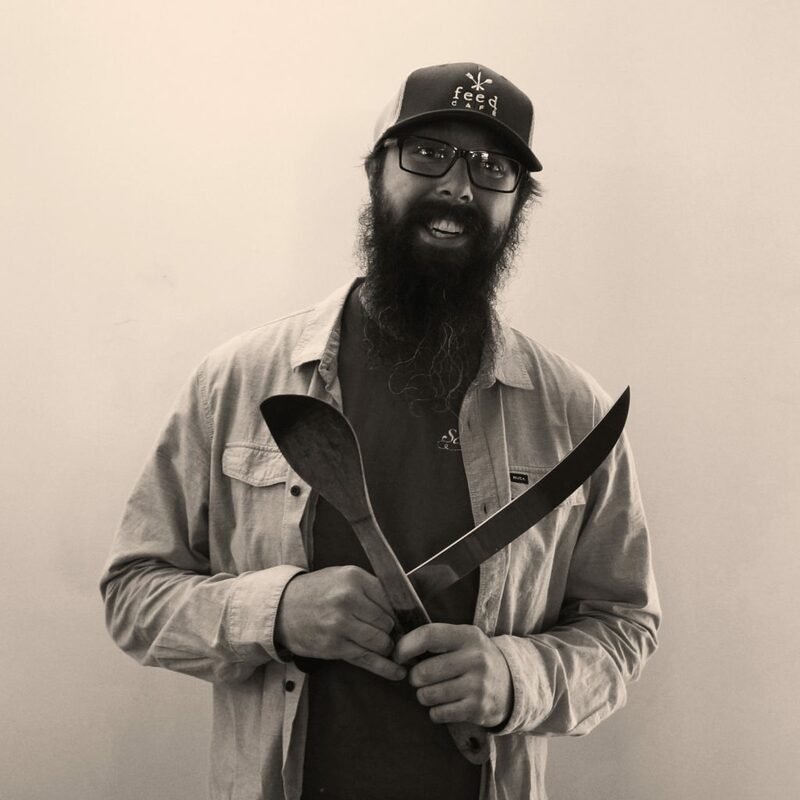 He’s a beast on the line and has helped set the bar high for line cooks here at Feed Café. 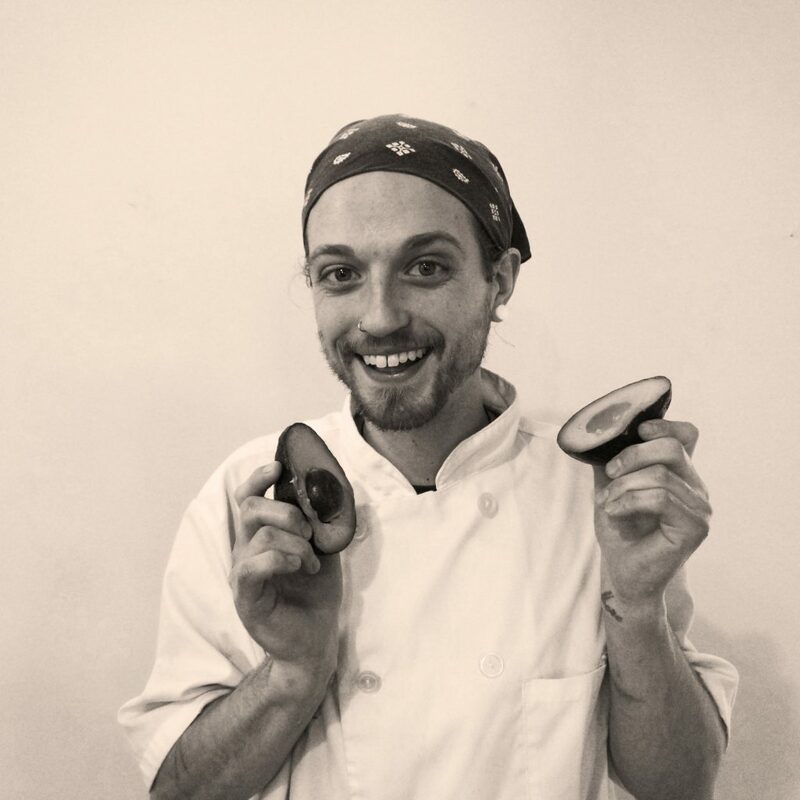 He puts his culinary degree to good use and has a passion for locally sourced ingredients. If Sean was a toast special, he’d be a smoked salmon, walnut and blue cheese salad topped with endive on wheat toast, because it reminds him of his roots in the Pacific Northwest – he’s from a town called White Salmon! His favorite Feed meals are the Biscuits & Gravy and Chorizo Omelette. When he’s not at Feed, he hikes, camps, climbs and hangs out at the dog park. 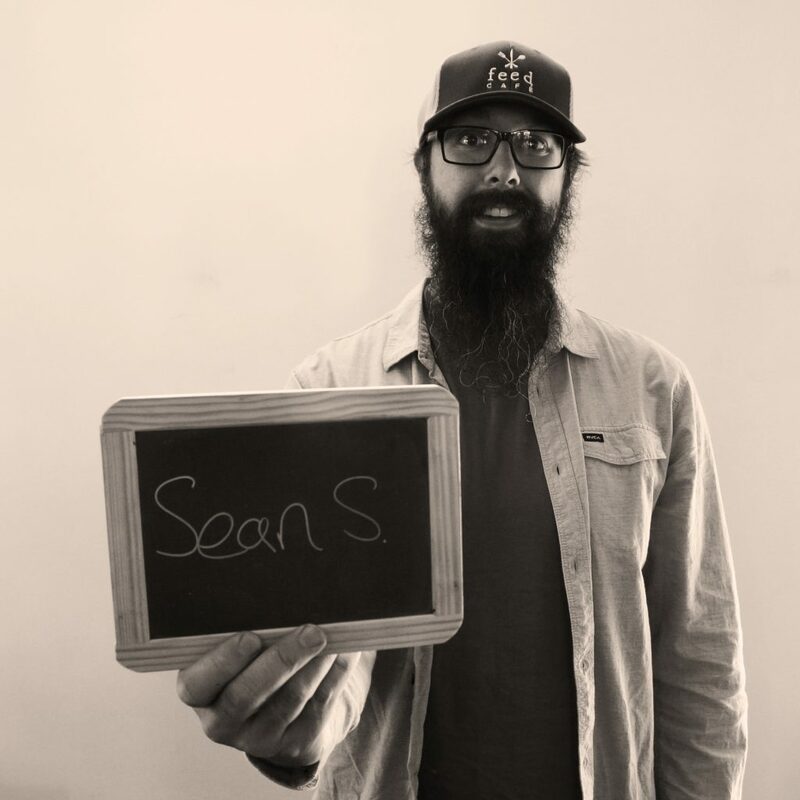 Thank you Sean for being so AWESOME and inspiring us to stay creative and hold to high standards. 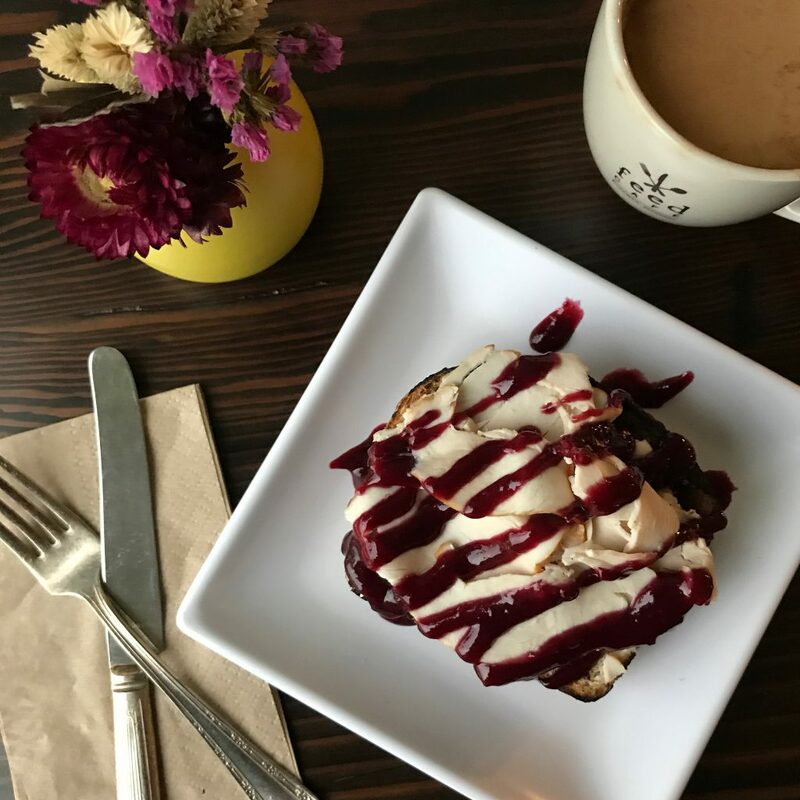 Our chefs are pulling out the stops with amazing toast specials lately. As always, they’re made with our house-baked bread using Montana grown wheat, toasted to perfection. Then flavor sensations are piled on top. 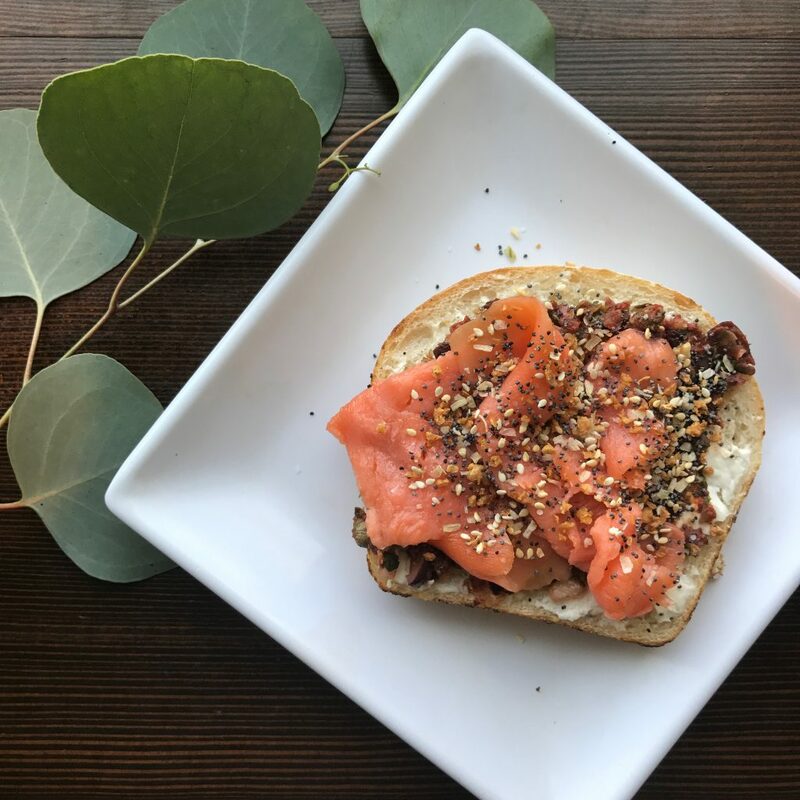 Here’s one of our favorites – “everything toast” with cream cheese, lox, sun-dried tomato relish and a sprinkle of everything bagel spices on sourdough. And here’s another gorgeous new one, using fresh, in-season blackberries. This has turkey, local chèvre and blackberry mostarda on wheat. Mikala’s energy launches her whole team through their day! She is vibrant, empowering, always around to offer encouragement and hugs. Mikala loves her job and everybody knows it. Her Feed family members are also well loved, and Mikala tells us so every day. She works hard and happily on every shift and is willing to tackle any job to help her team, which inspires those around her to do the same. Her spirit animal is a herd dog because she’s full of energy and likes to keep her herd together. If Mikala was a toast special, she’d be banana, peanut butter and marshmallow fluff on sourdough. When she’s not at Feed, she’s busy climbing mountains with her Doberman Max and studying organic chemistry.